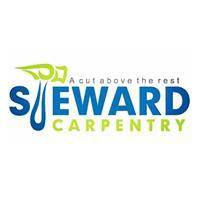 Steward Carpentry Limited - Carpenter based in Fareham, Hampshire. We are a small family run business based in Fareham, Hampshire. I am a highly experienced carpenter, who has been trading since 2005 and as a limited company since 2015. We offer a friendly and reliable approach, and take great pride in delivering a professional and affordable service, With full insurance you can be assured work is carried out to a high standard. We also undertake small jobs such as repairs and alterations. We understand choosing the right tradesman is a difficult decision so please view our gallery to see our previous projects.